Like most Honda owners, you love yours. But you might not be sure how to keep it in the best condition so it will last you for years and years. Not to worry, you’re in the right place. 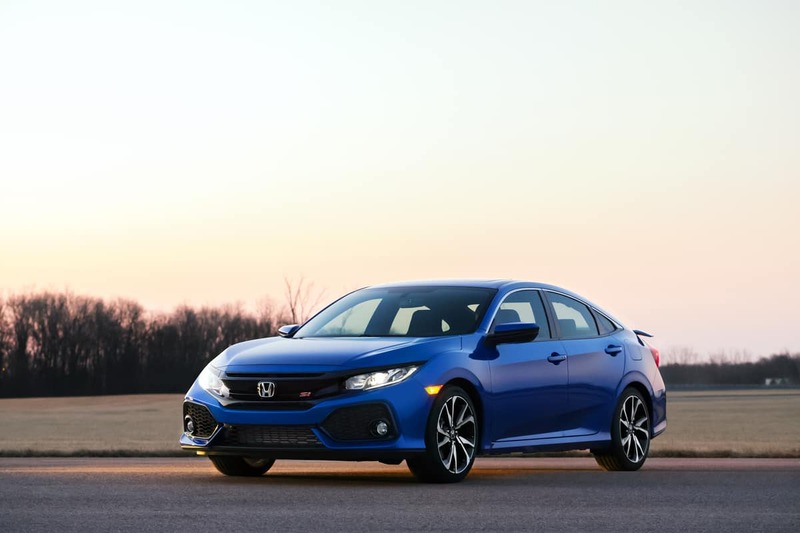 In this post, we go over the most important Honda maintenance tips you need to follow in order to keep your Honda in the best shape possible. And a happy car means a happy owner! There are certain elements of a car’s operation that are more susceptible to changes in pressure and heat. And brake fluid is a big one. The rigors, heat and pressure changes that happen daily, as well as over time, can cause your brake fluid to lose its effectiveness. If you’ve ever been driving and your brakes start to feel sluggish, or like they don’t respond as much when you press down, then it’s likely the brake fluid in your Honda is suffering. And when brake fluid starts to go, it can wreak havoc on other parts. For example, it can mess with the braking system’s seals, which can cause leaks. Ultimately leaks in the braking system can trigger a loss of pressure and even total brake failure! Replacing brake fluid also helps to lessen corrosion and rust in your braking system. Too much rust or corrosion, and you’re gonna have to pay a pretty penny to repair it. It probably seems obvious that your tires are a crucial part of driving. But so often we take them for granted. They look fine, so they must be fine, right? Wrong. Under-inflated tires (and over-inflated tires for the matter) are actually bad for your car’s performance. Both conditions make it so you end up using more gas when you drive. And they can also reduce traction, making your drive less safe. So it’s important not to only pay attention to your tires when something obvious happens with them. Make sure they are inflated the proper amount so this doesn’t happen to you. And if you are unsure what to look for in your tires’ treads, have your mechanic take a look to ensure they still have enough tread on them. This is another no brainer, but one that we all are susceptible to forgetting. The air filter in your Honda is what not only lets air flow to your engine to keep it from overheating, it also keeps harmful contaminants from the outside air from getting into your lungs! So don’t skimp when it comes to making sure your air filters are in good shape. Over time, air filters tend to clog with all the dust and other contaminants they soak up. And of course, once the clog, they are unable to fully do their job. It’s like an upright vacuum. You wouldn’t use it on your run if you saw the bag was overfilled with dust, right? Well, the same applies to air filters. They need replacing from time to time to make sure they can keep working. If you leave them in too long, they can cause gaskets to fail because too much heat is emanating from the engine. You might also have issues with your ignition systems and your cooling system, which you definitely don’t want. And if airflow to your engine is being restricted, it could break down completely on you, require a major overhaul or even replacement. And the great part about repairing your Honda’s air filter is that it’s a quick and easy process. Take care of it when you are getting your oil changed because most mechanics will check your air filter then anyway! Speaking of your oil, you need to change it! This usually is an ‘every 5000 miles’ type of thing, though check your car’s manual for the specifics. Over time, motor oil breaks down because of the intense changes in temperature and pressure that it goes through. It will gather corrosive elements that can cause things like gasket leaks, blown headers, and even complete engine failure. And nobody wants to get a huge bill for a new engine simply because they didn’t change their oil regularly! Antifreeze is another of your Honda’s vital fluids. Like motor oil, it degrades over time. And the water inside it eventually evaporates. This makes the antifreeze less effective at cooling your engine. So make sure you take the time to check and replace the fluids to keep your Honda running smoothly and efficiently! No car will start without a battery. So it should come as no surprise that taking care of your battery is a big part of basic Honda maintenance. Eventually, all batteries die, but in the meantime, there are things you can do to keep it lasting longer. If possible, park in a garage. This keeps it away from the weather elements like extreme cold, which can make it hard for cars to start. And extreme heat can cause the evaporation of battery fluid, which is also bad. You can also clean your battery to keep it from getting that gross white build-up that can form on it, which actually limits the battery’s output capability. If you have some time as well as a few basic tools, you can manually clean the battery and help its longevity! If your battery isn’t a sealed up “maintenance free” model, you can also add distilled water to it. It might seem counterintuitive to add water to an electrical part, but it can help restore some of the water that evaporates from the batter in the summer. As you can see, there are easy and reliable methods of Honda maintenance to keep your Honda in great shape for years on end. If you have any questions or would like to learn more, contact us today!